As temperatures warm up, more people are heading to the beach, but swimming in Lake Michigan could be dangerous. NBC 5 Storm Team Meteorologist Kalee Dionne is live with the latest. A day at the beach is generally a fun experience, but authorities and officials are warning beachgoers to be cautious when swimming this summer. On average, ten people per day drown in the United States, and nearly half of all the drownings that occur in the Great Lakes each year occur in Lake Michigan. A total of seven people have already drowned in the lake this year, and according to studies, most drowning victims are considered good swimmers. Despite that, strong winds and rip currents can overcome even the strongest swimmer, and large waves can also spell disaster for those unaware of their power. A renewed warning has been issued to stay safe on the water after six people were rescued in Lake Michigan. NBC 5's Ash-har Quraishi has more tips for boaters. Fortunately, there are ways to escape the power of a rip current when swimming. According to researchers, those caught in a rip current should roll on their backs and try to float and conserve energy. Once you’re stabilized, you can follow the current parallel to the beach, and will ultimately be able to swim back to shore. If you, or someone you know, is submerged, time is of the essence. Those rescued within two minutes of going underwater have a 94 percent survival rate, but if a person is submerged for four minutes or longer, irreversible brain damage can begin. 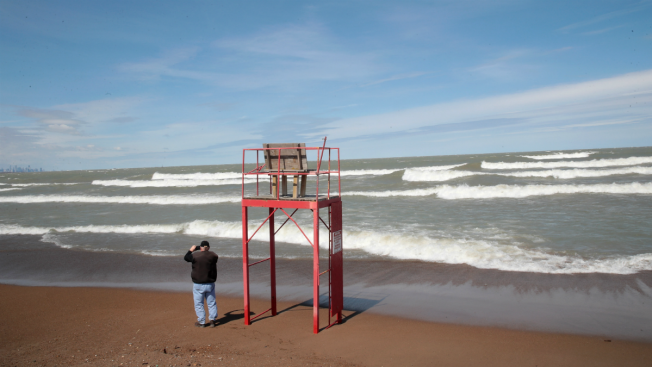 For more safety tips, you can visit the Great Lakes Water Safety Consortium website.